Bruma 736 Scale 1:45 Length 860mm. 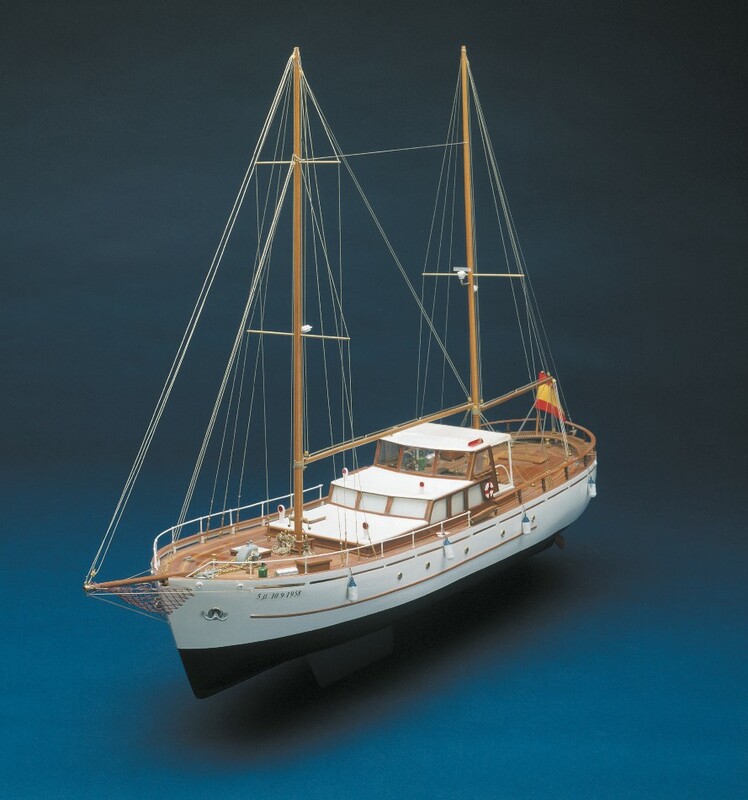 This is a lovely scale reproduction of an ocean going fishing boat, converted into a pleasure yacht. She is a plank on frame construction for radio control or as a fine display model.The kit contains all the necessary wood parts, with the sheet ply being laser cut for accuracy, metal accessories, two shafts and propellers. The motor kit is available as a separate item (part No. 600).